Western Province Governor M. Azath S. Salley said all unauthorised structures on the pavements will be removed after giving due notice to the occupants. The Governor was speaking to the media following a morning meeting with Power, Energy and Business Development Minister Ravi Karunanayake, who paid a courtesy call on Salley at the Governor’s office today. The Governor said notices have been issued to unauthorised occupants of the pavement in the vicinity of the Khettarama Cricket Stadium. Action will be taken in other places too, he added. He said the Chief Secretary of the Provincial Council has sent a circular to the heads of all local bodies to take immediate action regarding unauthorised structures. The Governor also said that in 30 days he was able to accomplish decades of services to the masses. 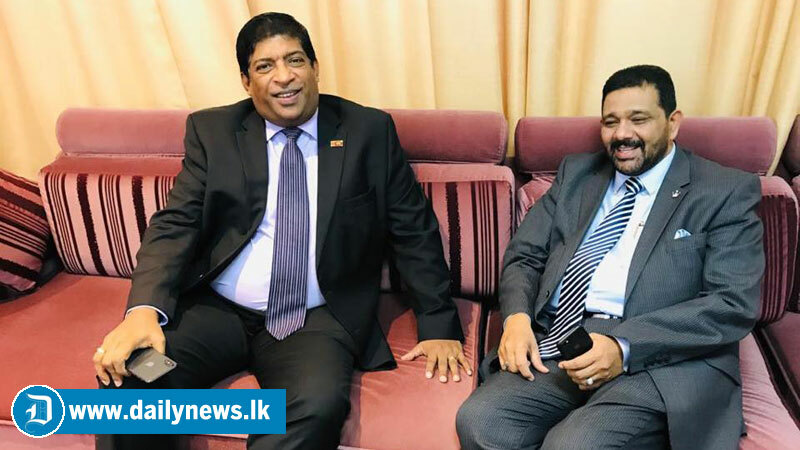 During the briefing, Minister Karunanayake said that he met with the Governor to discuss issues related to the local bodies and explored ways and means of improving them. “We also discussed the political situation in the island in general,” he said. Answering a question, Minister Karunanayake said that everyone is talking about corruption, but the government is now identifying the places where they occur to wipe it out totally. He also said anybody who applies for an electricity connection with proper identity will be considered for immediate supply without any delay. Western Province Governor M.Azath S Salley said that all unauthorized structures on the pavements will be removed after giving due notice to the occupiers. The governor was speaking to the press this morning following a meeting with Power, Energy and Business Development Minister Ravi Karunanayake , who paid a courtesy call on Salley at the Governor’s Office. The governor said notices have been issued to unauthorized occupiers of the pavement in the vicinity of the Khettarama Cricket Stadium. The actions will be continued in other places too, he added.